We are currently accepting application forms for the 2019 school year. 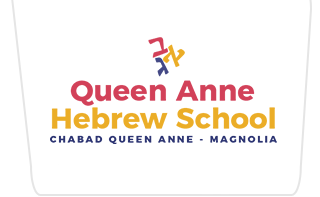 Hebrew School will take place Sunday's 10 am-12 pm at the Queen Anne community center, the first day of school is Sunday January 6th 2019. Please fill out ALL fields of this form. If you have any questions, concerns or if you'd like to discuss our program over the phone/in person please contact us. Does your child have a previous Jewish education? Does your child speak/understand/read Hebrew? Referrals: Save $100 for each family that signs up! * Synagogue membership is NOT required. Please note, that no child will be turned away due to lack of funds. Please contact us to discuss any financial considerations. After you have successfully submitted your application it will be subject to review. A team member will reach out to schedule a follow up call to discuss your application and confirm it's approval. Once approved an invoice will be sent to complete your child's enrollment.